The RUBY HD brings you crystal-clear images and advanced features in a compact, lightweight body with a 4.3-inch screen. Features include 20 high-contrast color modes, Reading Lines and Masks, Freeze Frame, and the ability to store and transfer images. The RUBY HD is available in two models: RUBY HD and RUBY HD+*. 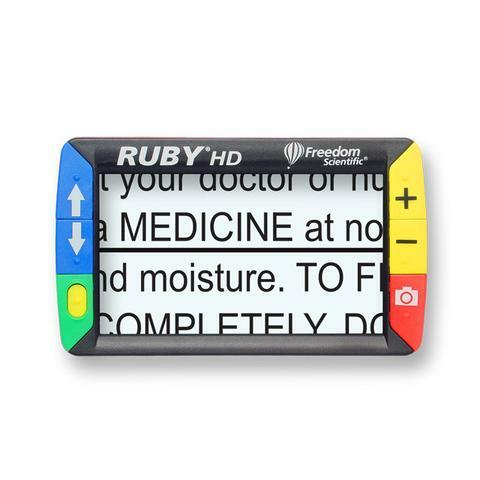 RUBY HD is offered in traditional red with color buttons. RUBY HD+ is offered in gray with high-contrast, black and white buttons.